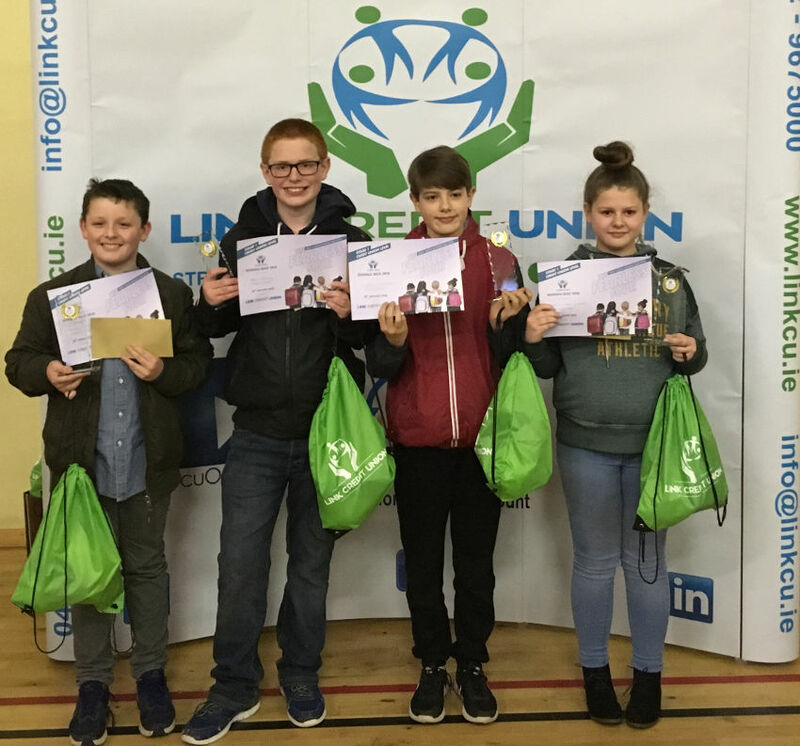 Congratulations to our U-13 School Quiz team, Brieanna Curtis, Martin Curran, Ben Forte 6th class & Matthew Flanagan 5th Class, who won Stage 1 of the Link Credit Union Quiz on Sun 28th January in Kingscourt Community Centre. This is the second year in a row that the senior quiz team won the competition! After a nail biting tie-break finish, they beat 16 other teams scoring 62 out of a possible 75 points! The team trophy sits in pride of place in the senior classroom and each member of the team received a plaque, medal and a fantastic goody bag! The team will compete in the Regional Finals in the Nuremore Hotel on Carrickmacross on Sunday the 4th of March. We would also like to congratulate the U-11 team Daisy Gernon, CJ Lynch, Amy Bennett & Patrick Lingham who came 5th in their category!